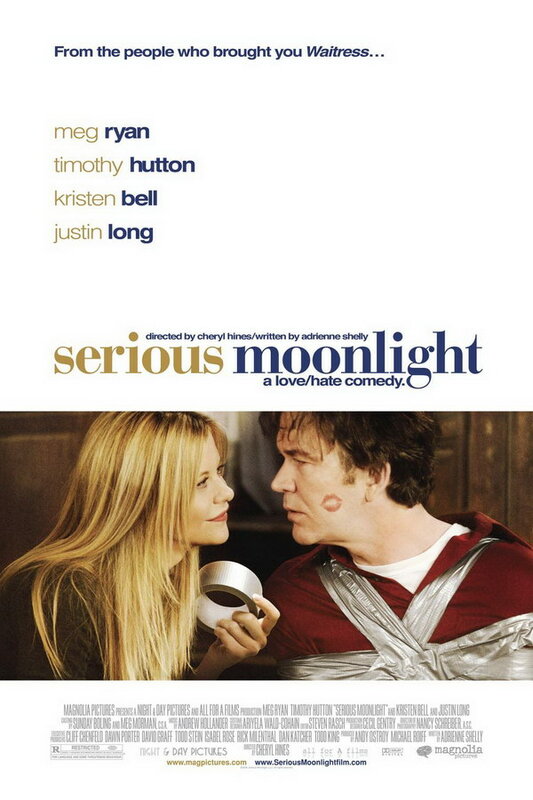 Serious Moonlight font here refers to the font used in the poster of Serious Moonlight, which is a 2009 black comedy movie directed by Cheryl Hines. The font used for the movie title in the poster is very similar to Bauer Bodoni Bold, which is a revival of the Bodoni typeface originally designed by Giambattista Bodoni in 1798. The Bauer version Bodoni typeface emphasizes the extreme contrast between hairline and main stroke. You can view more details about the typeface here. In addition to Serious Moonlight, Bodoni typeface is also used in the following logos, movie posters or album covers etc., including: The Greening of Whitney Brown, Albert Nobbs, The Holiday, Ice Princess, Lakers, Burlington Coat Factory, Prisoners, Midnight Souvenirs, Roger Federer, Veep, Beyoncé 4, Adam, La Mer, Home Again (film), Water for Elephants.